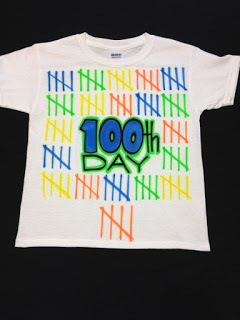 The 100th Day in any elementary classroom is a huge celebration. It kind of marks the school year, and gets us all excited for the fun of Spring and the end of the year. But all of the fun can be time consuming for teachers to plan and prepare. 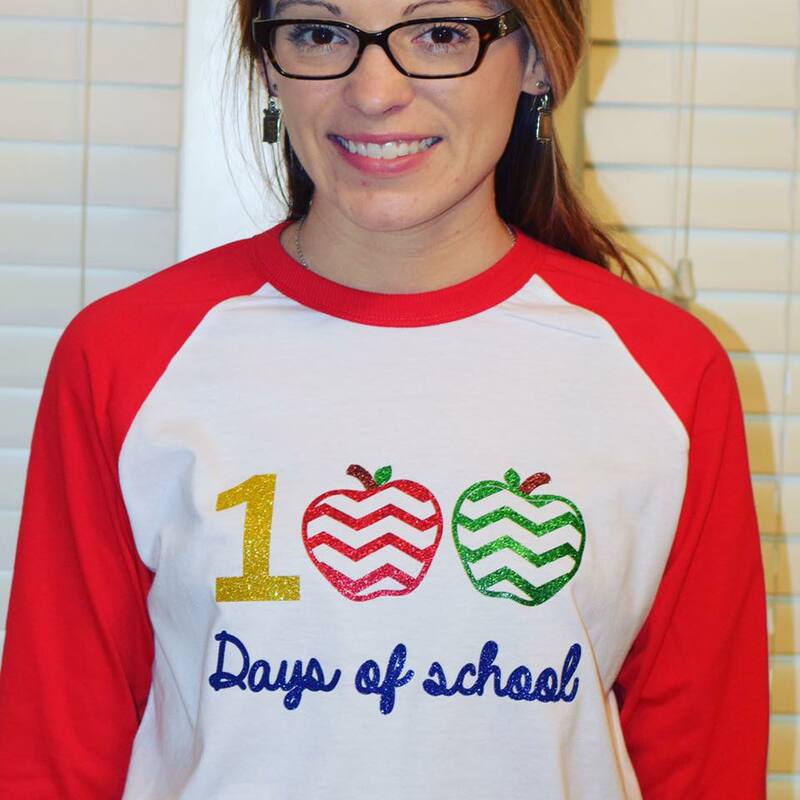 I really enjoy the 100th Day of School because there are so many fun, educational activities that I can do with my students, so I wanted to share my favorites with you in hopes of giving you some inspiration before the big day! 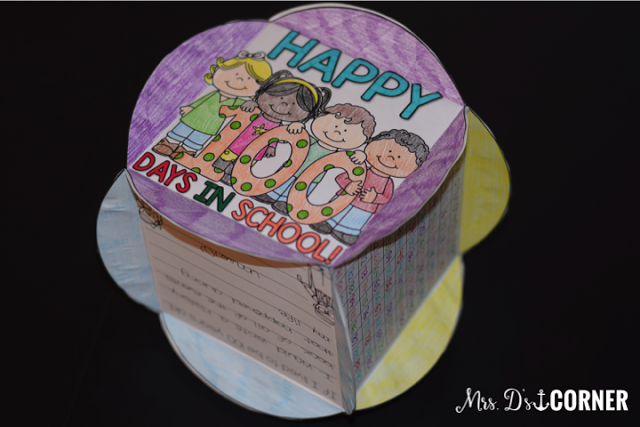 This is a sample of what I plan on putting up for our 100th Day celebration. 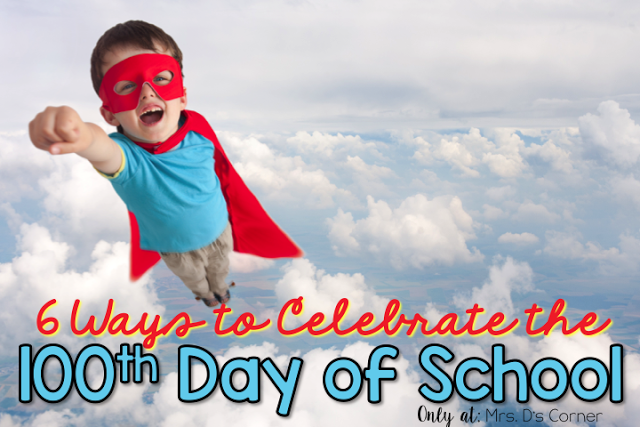 I don’t plan on telling the kids at all… just surprising them the morning of! I can’t wait to see their faces! Once I get our door all decked out, I will add a picture of it to this post. 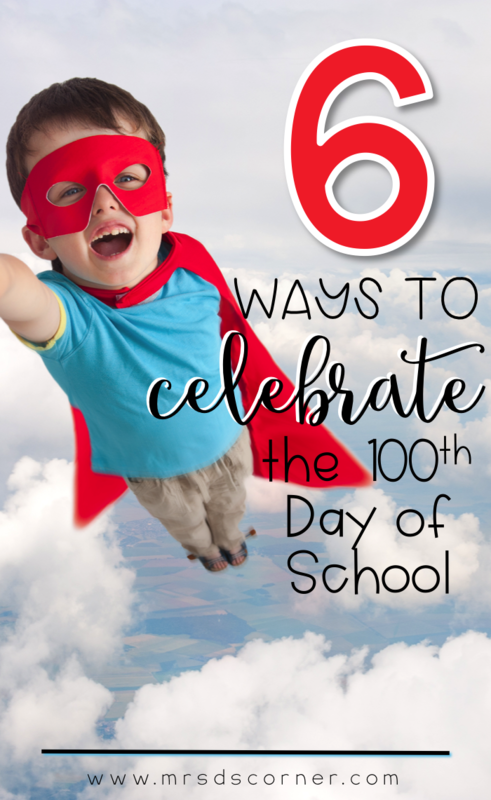 The 100th Day of School is a big deal in a lot of elementary schools, and as teachers, we do a lot of prepping for this day to make it as fun and educational as possible for our little friends. Educational meaning… well, we are still learning. So when it comes to fun activities, no prep print and go activities are the best kind for this day. I am so excited to do this no prep, print and go activity with my students on our 100th Day of School! Each side of the geo-ball is a different activity that the students complete, and once they’ve completed all of the activities, we glue their geo-ball together. 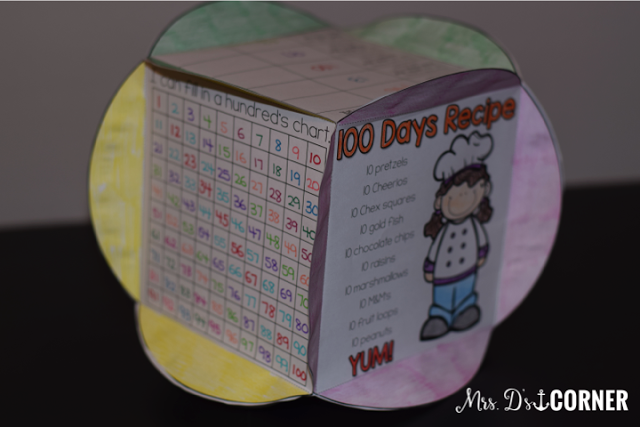 It even coincides with the next way to celebrate the 100th Day… snacks! Another new favorite of mine is adapted books. readers… they have worked wonders! 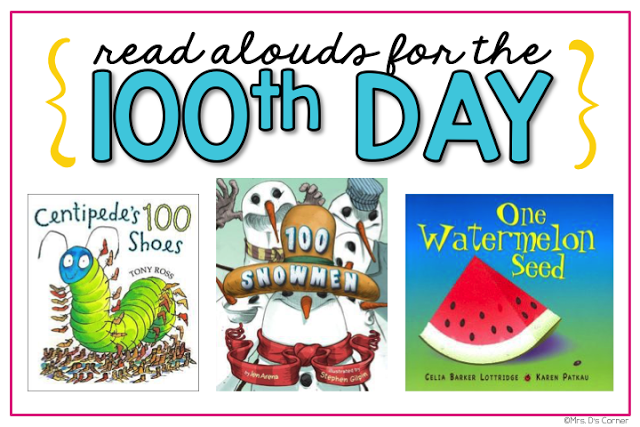 I’m really excited to debut the 100th Day books to practice our counting skills! I love food… and any way for us to bring food into the classroom and make it educational is okay by me! 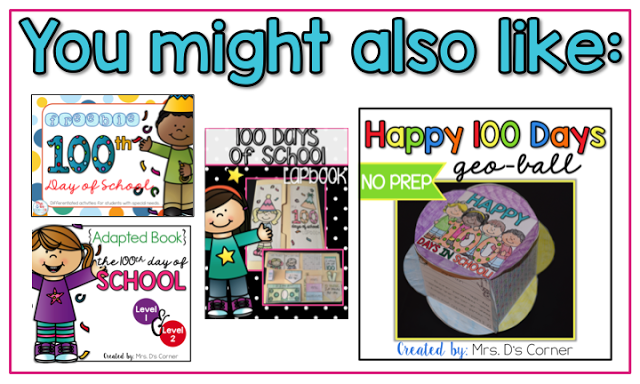 These are the three books that I have and will be using for the 100th Day of School. Click on any of the pictures below to order the books. Centipede’s 100 Shoes is about a centipede who buys shoes, only to realize that he has too many. Find out who gets them in this delightfully silly story about a centipede with sore feet. 100 Snowmen is a counting story that showcases snowmen having a lot of fun! 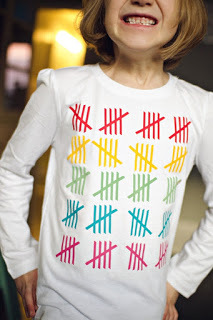 In this counting book your students won’t even realize that they’re counting! The main characters are tending to their garden while your students are counting from one to ten as the garden is planted. Then your kids will can count in groups of tens as the garden is harvested, while searching through the pictures for the many small animals that are hiding throughout. It’s definitely a must have! There are two kinds of fashion in any elementary classroom… kid fashion and teacher fashion.
) so my kids and I can make these. I’m pretty excited about this! is super crafty… and makes these shirts! She makes them in all of these different combinations too! Raglan tees (or baseball tees as I knew them before moving to Texas) are one of my favorite things right now… add on some cutesty stuff… SOLD. 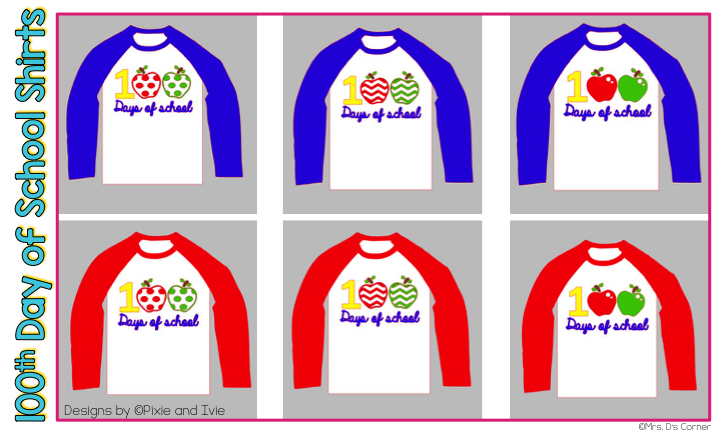 If you want to order a shirt before your 100th Day, you can send them a message through their Facebook page: Pixie and Ivie. Don’t forget to tell her that Mrs. D sent you! 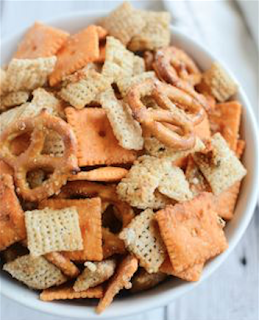 Party time does not equal lazy, especially when there are delicious snacks around! 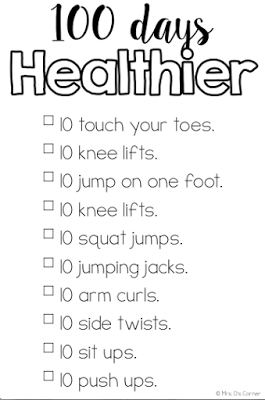 Use this set of exercises to help your students be “100 Days Healthier!” You can grab it in my freebie here. 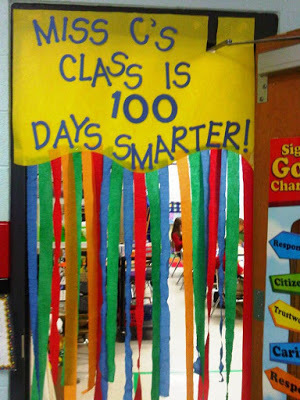 Happy 100 Days of School to you! 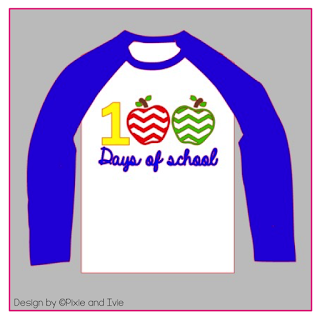 I love that your kiddos are going to make shirts! I wish we could do that but 43 kids is too many! Ha 🙂 Loved the post.